It was late afternoon and a ferocious wind blew. Dust devils swirled and danced before dispersing their sand and alkali debris over the dry lakebed. The bellows on my camera twitched in rhythm with the wind, and minute particles of dust seeped into every crack and crevice. On the horizon, large columns of dust obscured the volcanic rock outcropping. 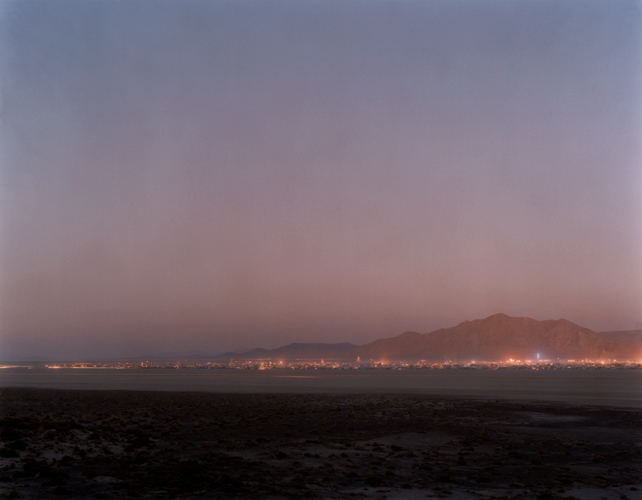 An ephemeral rain shower drizzled onto the playa, each drop exploding in a minute cloud of alkali dust. The process of making these photographs has become for me a journey of rediscovery. 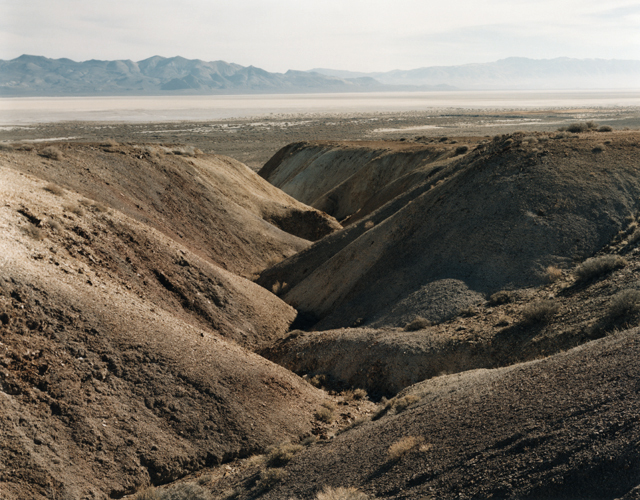 Having spent more than twenty years traveling into the Black Rock, I have come to realize that this arid, often inhospitable, and unforgiving landscape possesses a character both spiritual and sublime. As these visitors from the Burning Man Festival soon discover, it is a land of contradictions that often defy description. The sound of quiet can be deafening. When the winds blow and the dust storms grow, even the most experienced traveler can become disoriented. 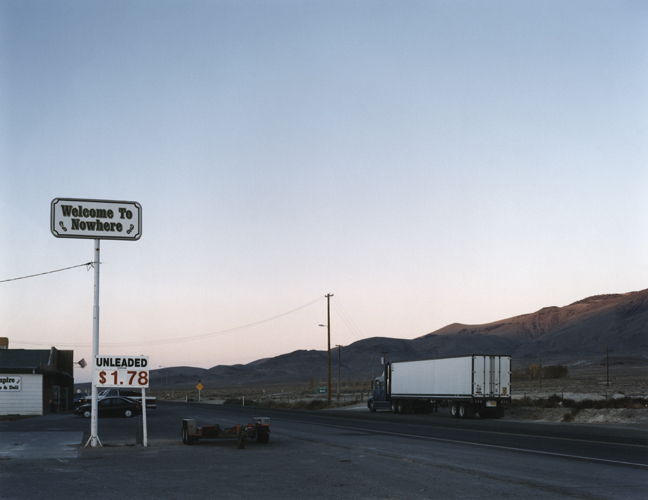 Distances are deceiving as human scale becomes obscured and unpredictable. The smell of sage and hot springs sulfur is woven together. The dirt roads are laden with silken dust; combined with water, they turn into quagmires of grease-like mud. The rocks are sharp and rough, yet in the soft evening light the distant hills appear covered with velvet. At any moment, there may not be one person within ten square miles, yet every step reveals human history. Mirages are common, and nothing really is what it seems. 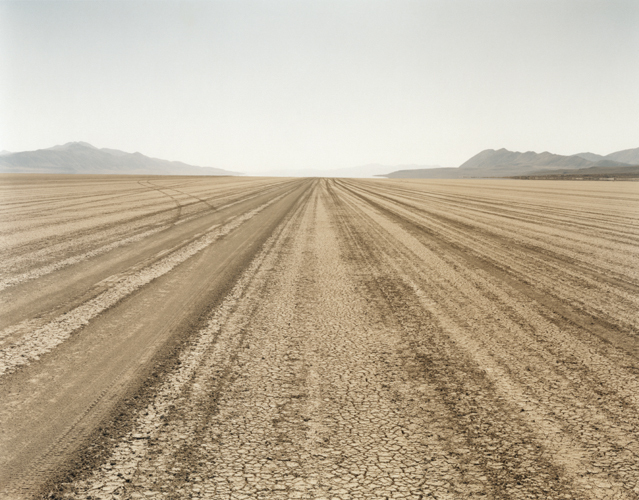 This is a landscape defined by the image and absence of water. 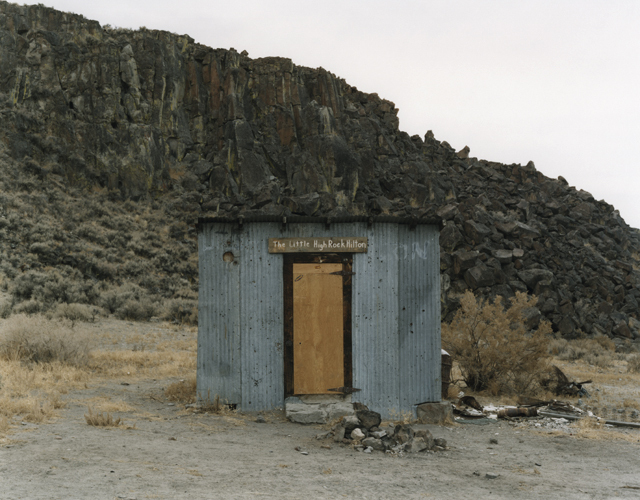 The ONE Exhibit "Black Rock" is taken from the book of the same name, which inscribes a visionary boundary around the storied Black Rock country, with original and historical maps and text by co-author Paul F. Starrs and photographs and text by Peter Goin. 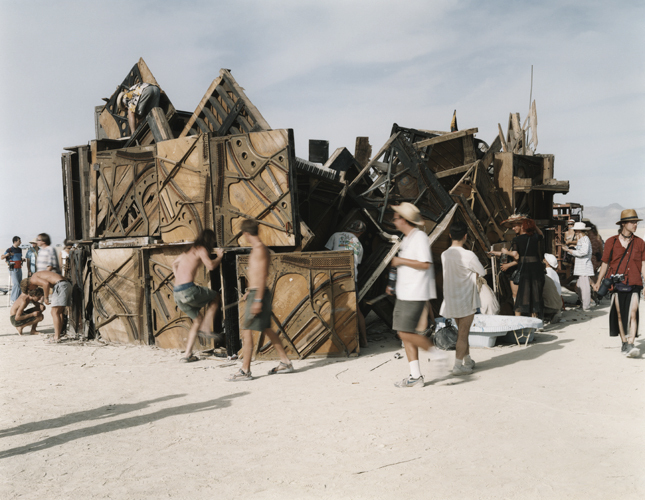 This project lyrically interprets a place that has become prominent as a setting for the Burning Man festival, held every Labor Day weekend. 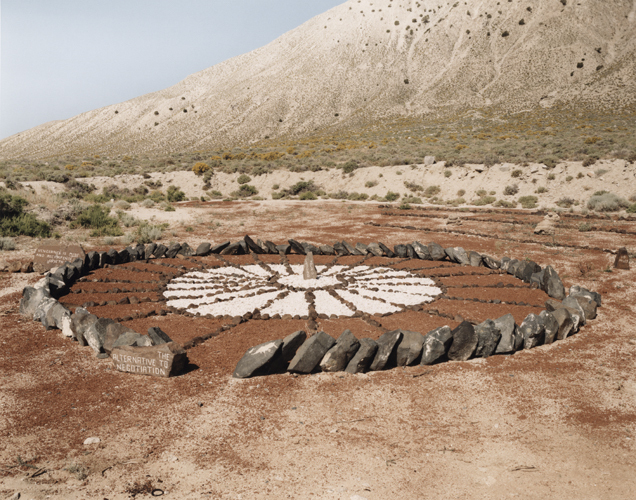 At that time, “Black Rock City” becomes one of Nevada’s largest cities, if only temporarily. Yet that event is only one relatively small aspect of the landscape and its geologic history. Tracks, 1985. From the book Black Rock, by Peter Goin and Paul F. Starrs. 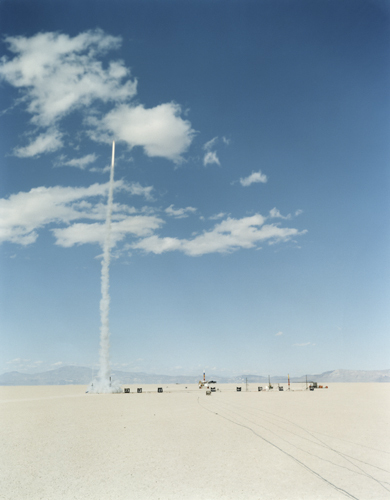 Rocket in Flight, 2002. From the book Black Rock, by Peter Goin and Paul F. Starrs. 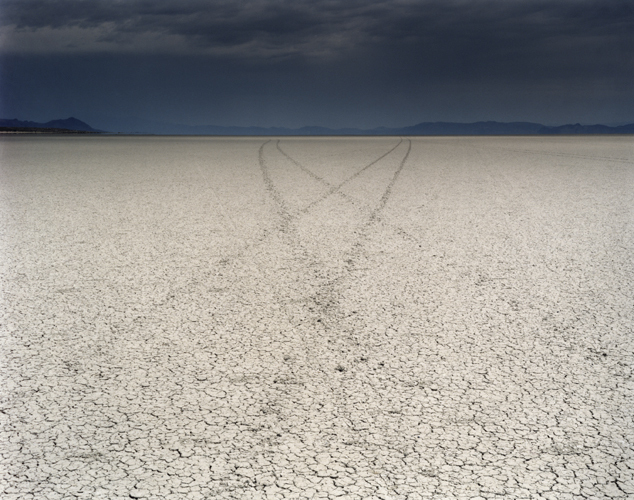 Intersecting Tracks, 1998. From the book Black Rock, by Peter Goin and Paul F. Starrs. 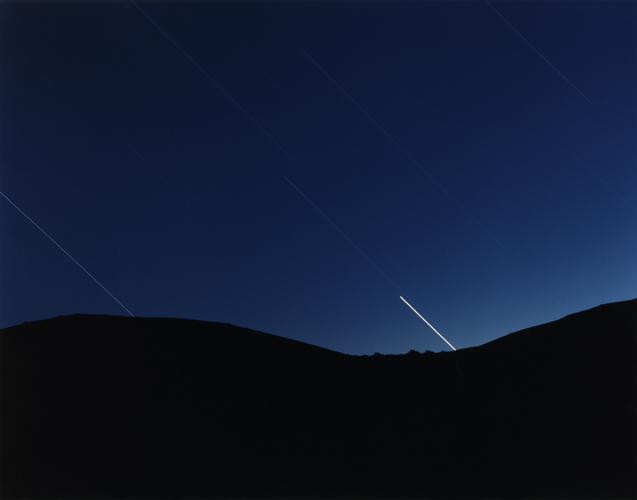 Venus Setting, 2002. From the book Black Rock, by Peter Goin and Paul F. Starrs. 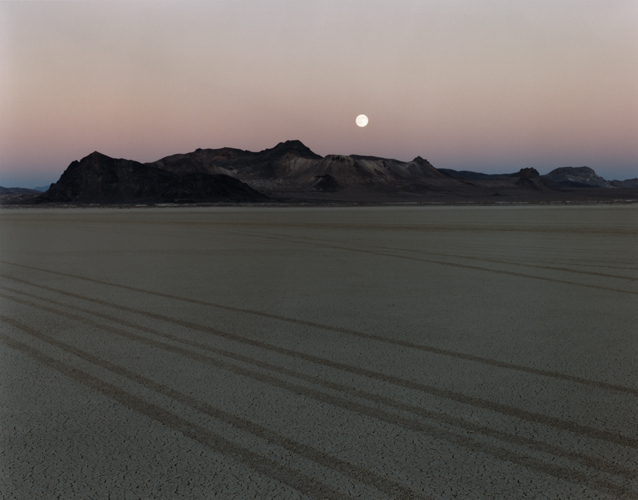 Moonrise Over Black Rock, 1990. From the book Black Rock, by Peter Goin and Paul F. Starrs. Black Rock City at the 2002 Burning Man Festival. From the book Black Rock, by Peter Goin and Paul F. Starrs. Pat and Jerry L., near Steven's Camp. 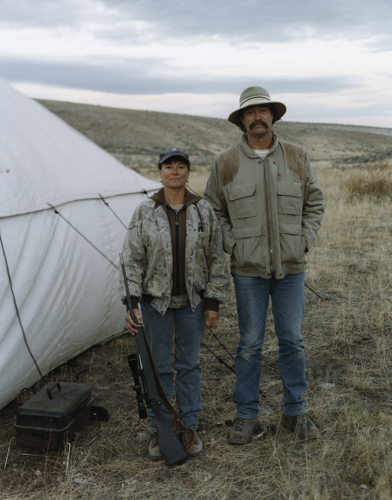 Pat holds one of only two Heritage tags for antelope in the state of Nevada for 2003. From the book Black Rock, by Peter Goin and Paul F. Starrs. 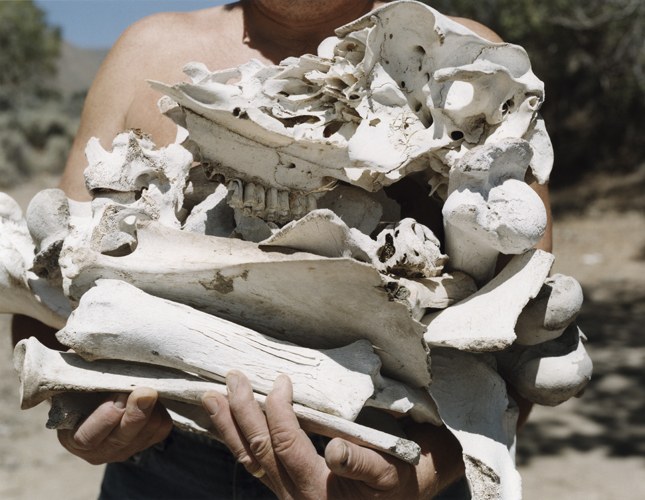 Bones, 2003. From the book Black Rock, by Peter Goin and Paul F. Starrs. "Ground Zero." Outsider art of DeWayne Williams, 1994. From the book Black Rock, by Peter Goin and Paul F. Starrs. The Little High Rock Hilton, 2002. From the book Black Rock, by Peter Goin and Paul F. Starrs. Empire, 2001. From the book Black Rock, by Peter Goin and Paul F. Starrs. 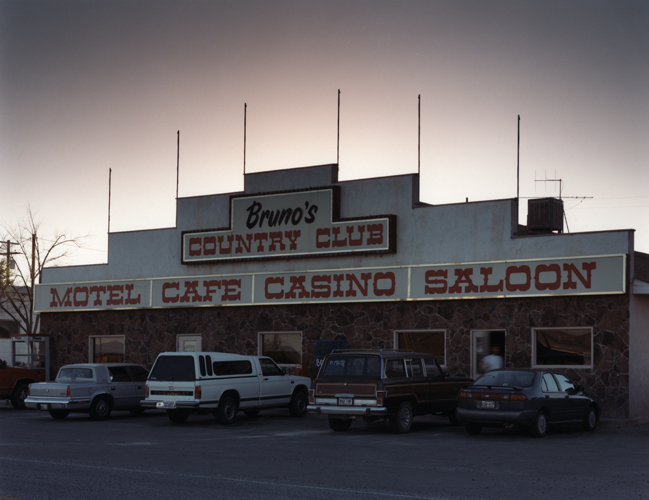 Bruno's Country Club, 2001. From the book Black Rock, by Peter Goin and Paul F. Starrs. 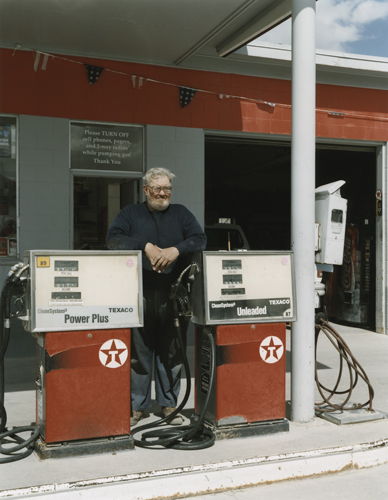 Shell station, 2004. From the book Black Rock, by Peter Goin and Paul F. Starrs. 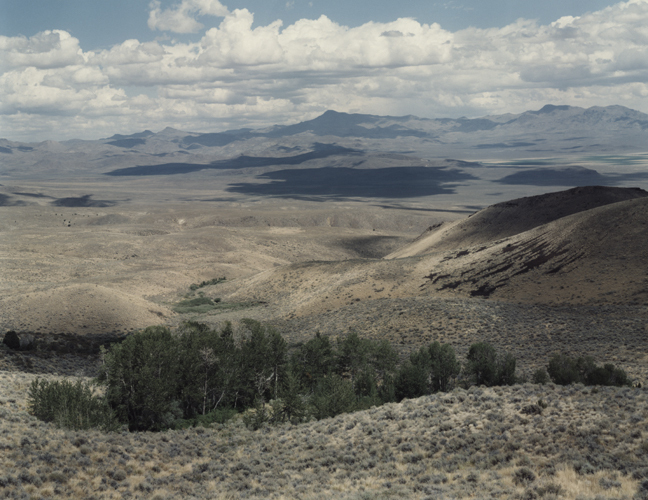 Groves along Cottonwood Creek drainage; Hualapai Flat and Calico Mountains, 2001. From the book Black Rock, by Peter Goin and Paul F. Starrs. Drainage erosion, 1989. From the book Black Rock, by Peter Goin and Paul F. Starrs. 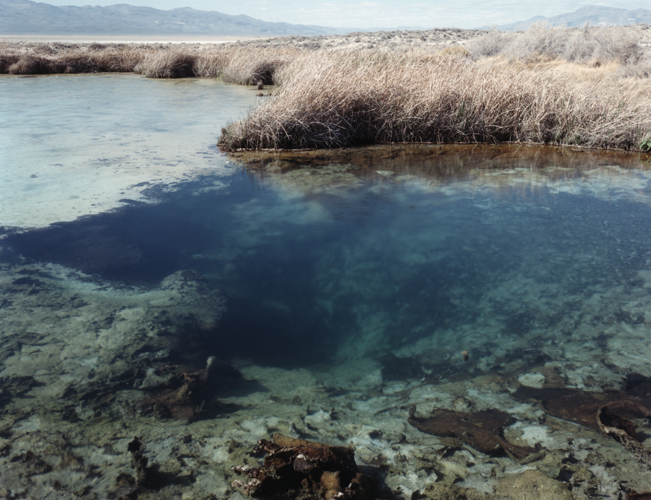 Black Rock Hot Springs in 2002. From the book Black Rock, by Peter Goin and Paul F. Starrs. 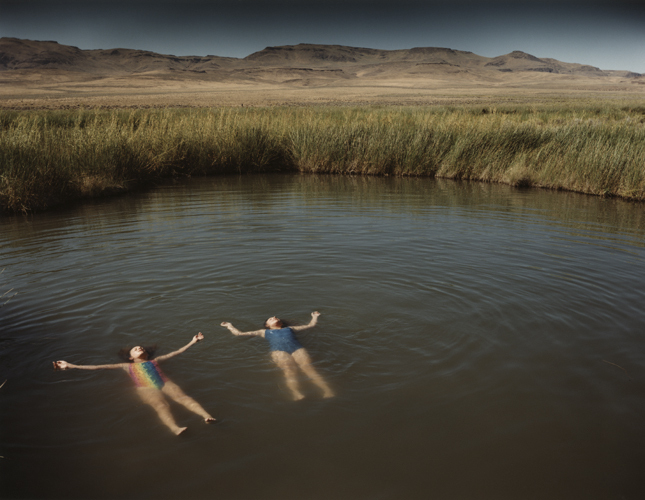 Children floating, Soldier Meadows Hot Spring, 1998. From the book Black Rock, by Peter Goin and Paul F. Starrs. 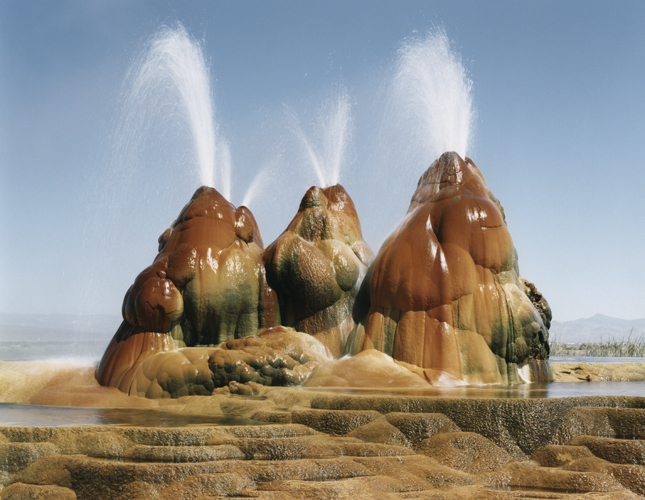 Fly Geyser, 2002. From the book Black Rock, by Peter Goin and Paul F. Starrs. 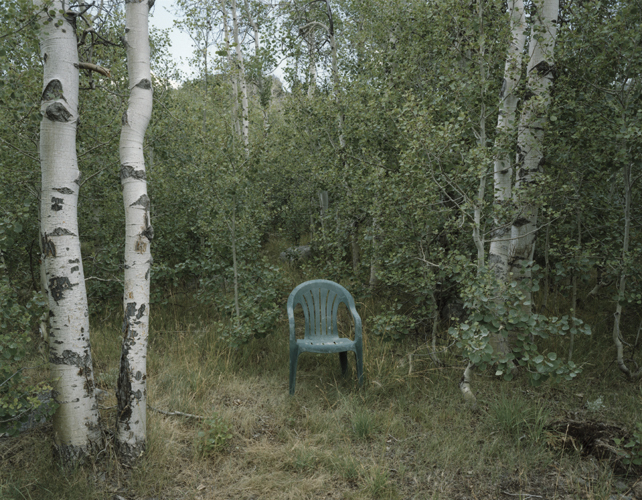 Green chair near Blue Lakes, Pine Forest Range, 2002. From the book Black Rock, by Peter Goin and Paul F. Starrs. 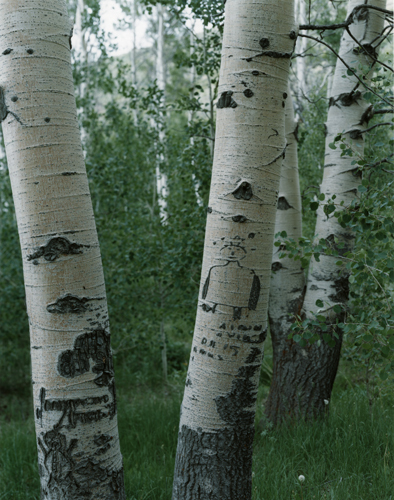 Aspen arborglyph, south of Mahogany Creek, 2003. From the book Black Rock, by Peter Goin and Paul F. Starrs.